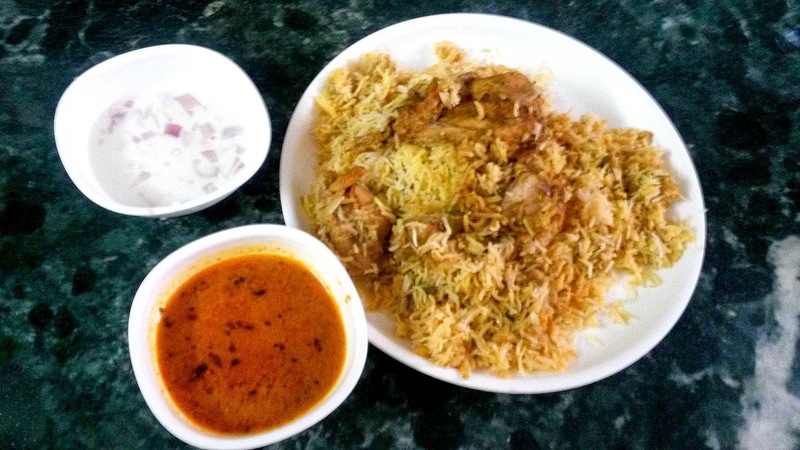 Though it is often confused as Hyderabadi Biryani, there is quite a bit of difference between the biryani made by the Nizams and those made by the residents of Telangana, Rayalaseema and Coastal Andhra. The latter is a totally different version as opposed to the traditional Nizami Dum Biryani to match the fiery hot local palate and has a chilli powder based cooking style which makes it so popular amongst the folks. Another major notable difference is the lesser usage of saffron which translates into a more ghee pulao rice bed with well spiced chicken or mutton. Many Telugu food lovers will maintain that the name biryani is a misnomer for this rice and meat dish, and it should only be called pulao. Located in a small kiosk (more like the Andhra messes in Hyderabad) near Yatharth Hospital in Sector 110, Noida, Andhra Biryani Restaurant (no need to guess what they serve, it is there in the name itself ) serves delicacies from the South which is as authentic as it can get with cooks hailing from the districts of the southern state. 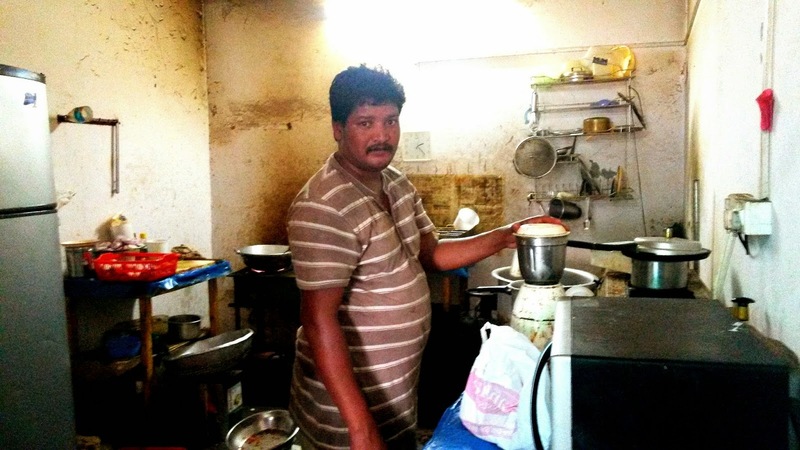 Being a small shop, hygiene may not be their strong point but the aroma of biryani near their small single kitchen will just tantalize your senses. They serve both Mutton and Chicken Biryani accompanied by Mirchi ka Salan and Raita, with more than enough portions to fill a single stomach. The biryani made with long grains of non-basmati rice may anger the biryani fanatics but one taste of the delightful pakki biryani will cause a riot of flavours, leading to a sure shot second visit. Other specialties include the Chicken 65, marinated and fried with garlic, onion and curry leaves garnishing. 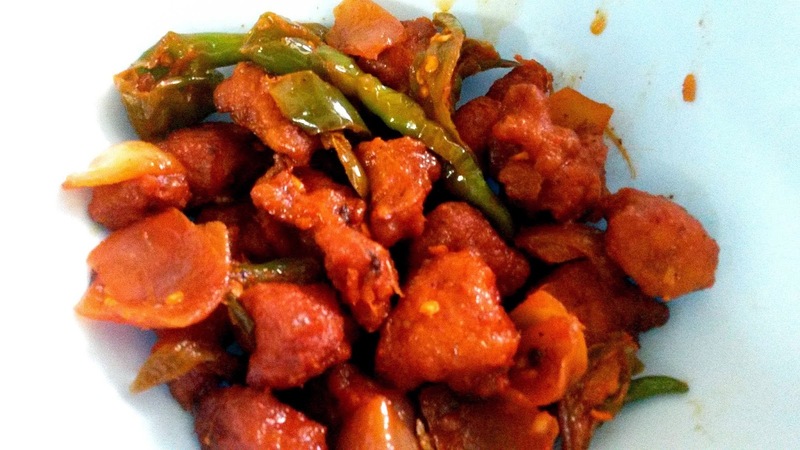 While the addition of the Andhra cuisine in Noida is a cause for rejoice, the typical mess like atmosphere still yearns for more such similar non-vegetarian dishes mainly in Liver Fry, Gongurra Mutton Fry and Apollo Fish. They have also opened a small restaurant beside their takeaway counter now. Though I doubt the hygiene factor, the quality has remained the same.